"This is no longer possible as they sold the lumber plant. 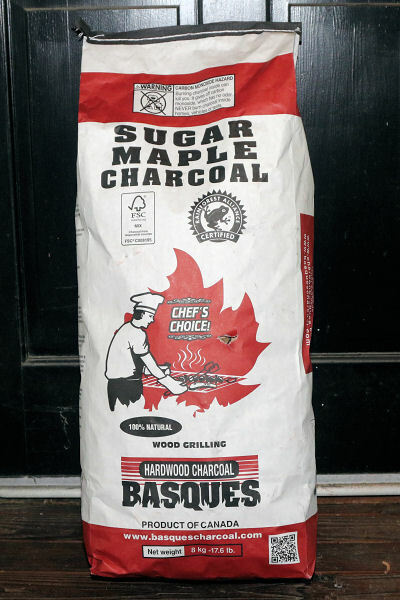 There is an important distinction between Basques Charcoal and many American Lump manufacturers, Basques only uses logs to make their charcoal and no slab wood so you are getting the heart of the tree compared to the outer section of wood and some bark. Basques is also now Rainforest Alliance and FSC Certified." We would caution against too much concern regarding the size distribution. When we tested the original Nature's Own Basque charcoal, there were very good bags with lots of medium and large pieces, and there were bags that weren't so good with large amounts of small pieces. We also observed this same thing with Maple Leaf charcoal, which also contains a large amount of maple. Maple appears to produce more fragile charcoal than hickory and oak, and thus you often get bags like this one. If you like burning sugar maple lump charcoal, it's a small price to pay. While sorting through the bag contents, as mentioned by the distributor, we found no milling scrap. There was a tiny amount of small uncarbonized pieces and we found one small piece of insulation in the bag. In our chimney starter test, it took four sheets of newspaper to get the charcoal going, which is average compared to all other charcoals. There was no sparking or popping and the smell of the charcoal as it starts up is very mild. In our maximum temperature test, the charcoal burned at 1075°F which is very high compared to other charcoals. Again there was no sparking and popping and the smell of the smoke was again mild and pleasant. The fire spread relatively quickly and the charcoal came up to its maximum temperature in a very short time. When we lit the charcoal with a MAP-Pro torch for our burn time test, there was very little sparking and again the fire spread relatively quickly. The charcoal burn time was very high compared to other charcoals and the amount of ash produced per hour of burntime was very low. All in all, except for the size distribution of pieces, this charcoal excels in most categories. It burns almost forever with very little ash, burns extremely hot when called upon, and has a very mild and pleasant smoke. We give it our Recommended rating. -Avoid using petroleum based (sic) since it may give off a bad smell. -Add some charcoal from time to time in order to extend cooking duration. 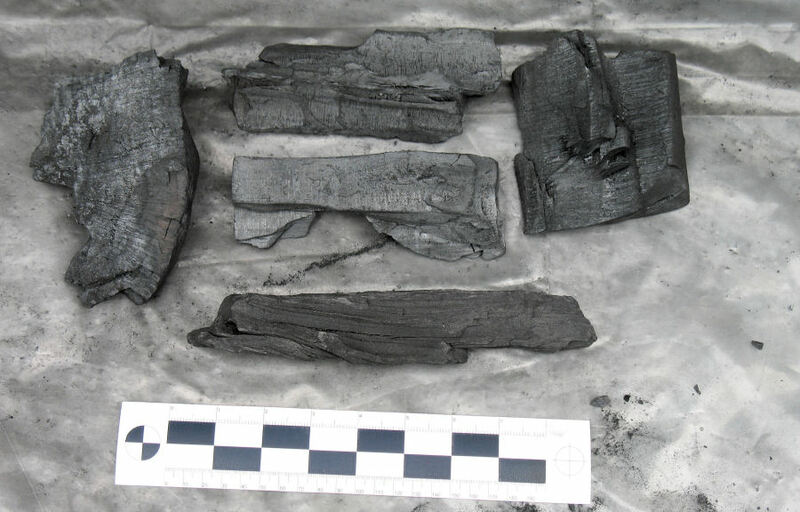 -Charcoal is faster for cooking foods than briquets. -Never use indoors without proper ventilation (See Warning). -Store charcoal in a cool dry place." 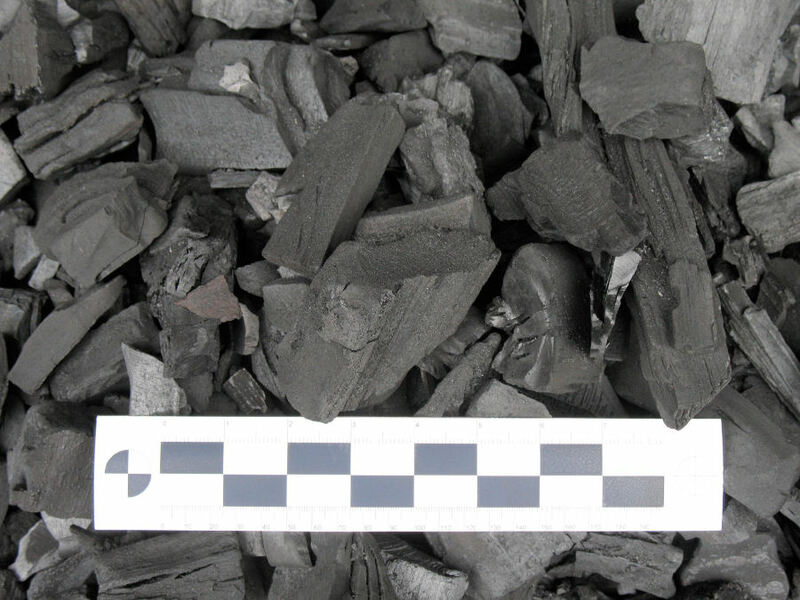 "For more hints and tips, recipes and other suggestions, please consult our website at www.basquescharcoal.com"
Place charcoal in chimney and place crumbled (sic) piece of paper at the bottom. Light the paper and your Basques Hardwood Charcoal should be ready when the fire reaches the top of your chimney. Place electric fire starter an (sic) bottom of grill and cover with Basque Hardwood Charcoal. Turn on your starter and your fire should be ready to use in about 10 to 15 minutes. is to pile the hardwood charcoal in pyramid form. Place small crumpled balls of newspaper, twigs or natural fire starting cubes at the bottom of the pile. Light it in several places and use when charcoal is red hot." between the centers of the two targets is precisely 9 inches. This is the contents of the bag. Those are 1 inch segments on the measuring bar. We found a small piece of insulation in the bag.